Giovanna Licata (Homepage) wrote: Oddio, ma questa è ...no, non esiste termine adatto a descriverne la bellezza! Rue Du Lavoir (Homepage) wrote: Parfaite. Les nuances de couleurs du ciel sont de toute beauté. Vraiment. Mika (Homepage) wrote: Amazing shot, clouds are bueatiful. The plane is surfing on those clouds. Arnd (Homepage) wrote: I really like the drama of the sky and the awesome perspective you have chosen here! This is a stunner! Thomas (Homepage) wrote: Wow, amazing. Seems like there is a lot of postproduction involved, but anyway, it just looks really great. Boris (Homepage) wrote: Great shot and postproduction ! mbecher (Homepage) wrote: Just WOW, Paolo! RobertB (Homepage) wrote: Oh wow! I've never seen anything like this before. This is definitely one of all time favourite images. crash (Homepage) wrote: wow ... amazing sky!!!!! buntagphoto (Homepage) wrote: Those are some beautifully captured clouds. Arash (Homepage) wrote: Gorgeous! one of a kind! Paulo Pedroso (Homepage) wrote: like a dream this photo takes our mind to another stage. 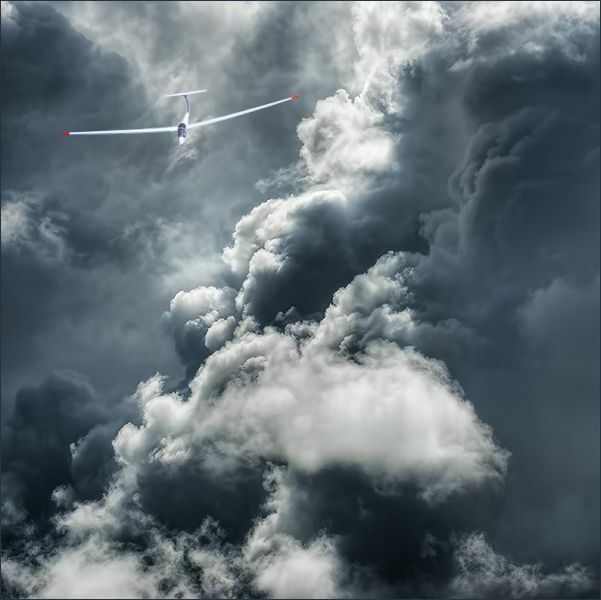 Frida (Homepage) wrote: A magical image, I like the dramatic and yet soft clouds kind of following the aircraft. Arjan - PlasticDaisy (Homepage) wrote: Oh wow you keep on amazing me with your strong images! This is such a cool image! And perfectly processed. Kala (Homepage) wrote: A very powerful and striking image! Marcie (Homepage) wrote: What a fantastic scene and image. So powerful and evocative. Love the processing!! Kris Koeller (Homepage) wrote: Those clouds are amazing! Chintan (Homepage) wrote: OMG! This is an amazing shot...Loved it.